Ophthalmology is the study of the eye and the afflictions of the visual system, eyes and eyelids. Ida graduated from Bristol University Veterinary School in 1995. She sat further professional examinations in 2001 when she obtained the Royal College Certificate in Veterinary Ophthalmology. 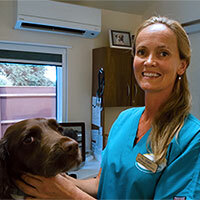 She now works nearly exclusively with ophthalmic referrals and provides a clinic for ophthalmic cases at the Macqueen Veterinary Centre on Mondays and alternate Thursdays. 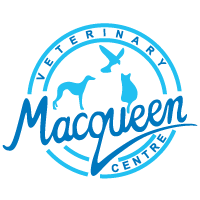 We co-operate closely with your vet and report via email/fax and written letters. 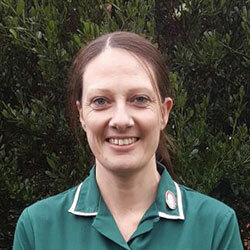 Call Becky Waters, our referral nurse, on 01380 728505, 8.30am – 2.30pm, or another member of our friendly reception team outside these hours if you want to arrange the appointment for your client or it is an urgent case. 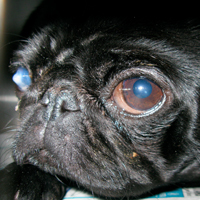 E-mail [email protected] with a brief covering letter, giving an outline of the ophthalmic problem, medical history, recent laboratory work if relevant, owner and vet contact details, current medication and level of urgency. Reception can provide a contact telephone number if Ida is not in the clinic. 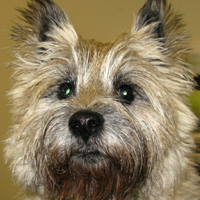 Why might your pet need an Ophthalmic referral? What happens in an Ophthalmic referral? The first consultation will take 40-60 minutes, with most follow-up consultations taking 20-30 minutes. 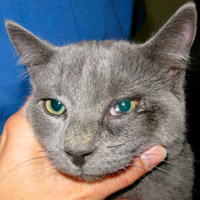 Ida will first discuss the current eye problem or eye-related concern as well as taking a history of your pet. A thorough ophthalmic examination will then take place, using a range of different tests and specialised ophthalmic equipment (see section above). Ida will then explain her findings with you and discuss the implications and medical or surgical choices available as thoroughly as possible.You will be given ample opportunity to ask questions. It is a good idea not to feed your pet anything for 6-8 hours before the first consultation, in case sedation or anaesthesia should be required for further investigations, procedures or surgery. Your pet can have free access to water. Please bring any current medication with you and as a rule carry on eye-drops that you have been asked to use by your vet, stopping 2 hours before the consultation. If you have any questions, please don’t hesitate to call us on 01380 728505 and ask for Becky, our Senior Referral nurse.